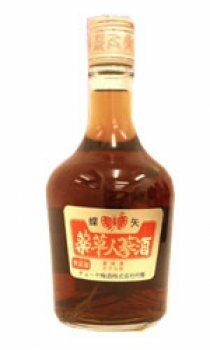 Choya ginseng liqueur is a herbal preperation using Korean ginseng and twelve other herbs preserved in alcohol. Recommended use. 1x 20ml serving, three times a day before meals to give the beneficial results of Korean ginseng, and to give a sense of improved well-being. Very expensive and highly reputed in Japan for its alleged powerful and potent properties.